Acer Aspire 5560 (AS5560-Sb609) comes with 15.6-inch Active Matrix TFT Color LCD CineCrystal display with LED backlight tehcnology. This laptop has AMD A6-3400M quad-core processor, AMD Radeon HD 6520G graphics, 4 GB DDR3 SDRAM, and 500 GB 5400 rpm SATA HDD. 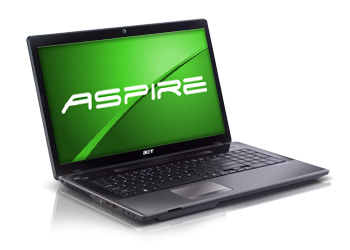 Acer Aspire AS5560-Sb609 is equipped with card reader, HDMI, two USB 2.0 ports, one USB 3.0 port, VGA, Network (RJ-45), webcam, and six-cell Lithium-Ion 4400 mAh battery.